David Eugene Barbee, age 59, of Jackson Center, Ohio passed away Wednesday, September 5, 2018 at his home. David was born in Columbus, Ohio September 22, 1958, to the late Eugene J. and Betty M. (Garrison) Barbee. He was also preceded in death by his brother, Tom Barbee; his sister, Donna Carman and a niece, Ginger Carman. 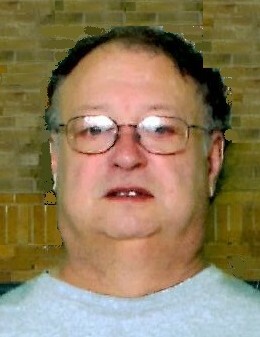 David was a 1976 graduate of Jackson Center High School, where he was a member of the basketball team. He also graduated from The Ohio State University in 1981 with a Business degree. He was retired from J&S Electronics and enjoyed playing pool and darts. He was an avid Ohio State and Cleveland Browns fan. David enjoyed spending time with his family and spoiling the younger kids. David is survived several nieces and nephews, including Matt Cooper, Chandler Cooper, Alicia (Shawn Aufderhaar) Cooper, Allie and Cadence Aufderhaar, Kelly (Dave) Gross, Kristen (Ryan) Geuy, Paige, Kaiden and Asher Geuy, Craig (Kella) Bodenmiller, Savannah and Grayson Bodenmiller, Stacey Cooper, Jennifer Barbee, Malcom and Eric Barnes, and Amy Barbee, and his companion, Elizabeth Moyler of Ft. Loramie, Ohio. Visitation will be held at the Eichholtz Daring & Sanford Funeral Home in Jackson Center Thursday, September 13, 2018 from noon to 3 P.M. and 5 to 8 P.M.
Rev. Dr. Cathi Braasch, STS will officiate the funeral service Friday, September 14, 2018 at 11 A.M. at the funeral home. Burial will be at the Greenwood-Union Cemetery in DeGraff, Ohio.